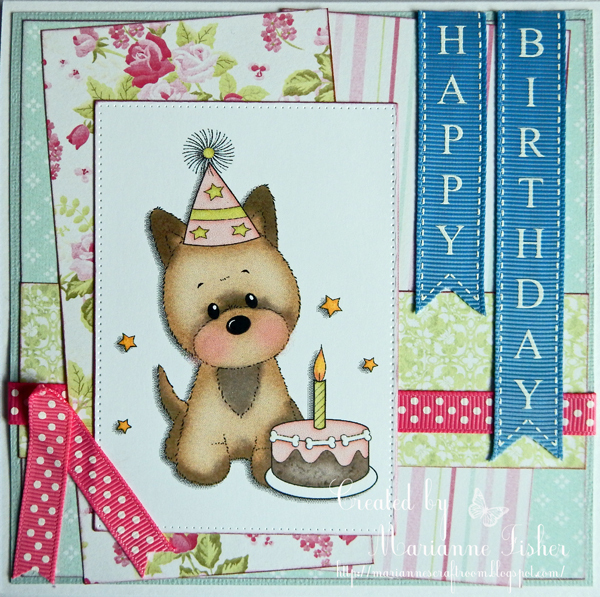 This is one of three cards I made for last moth's Making Cards Magazine featuring Pink Gem doggie images. This is Little Millie's Birthday. Hop over to my blog Marianne's Craftroom for more information.